This is a rip-roaring collection of knuckle-whitening adventure stories retold for younger readers. 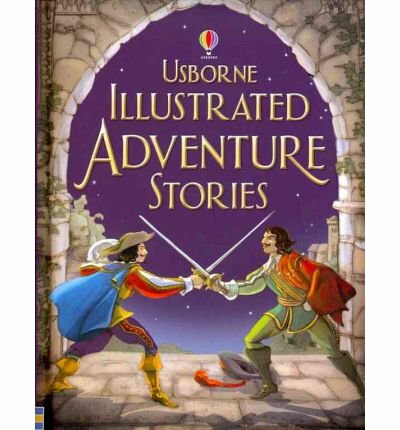 It is full of colourful illustrations from the Usborne Young Reading Programme. It contains the stories from: "Don Quixote", "The 39 Steps", "The Count of Monte Cristo", "The Prisoner of Zenda" and "The Three Musketeers". It also includes short biographies of each of the authors.